Barry Allen, a forensic crime scene assistant for Central City Police Department, is struck by lightning during a storm that is created after a particle accelerator from S.T.A.R. Labs explodes. In a coma for nine months, Barry awakens in S.T.A.R. Labs, having been placed in the care of Dr. Harrison Wells and his assistants Dr. Caitlin Snow and Cisco Ramon. 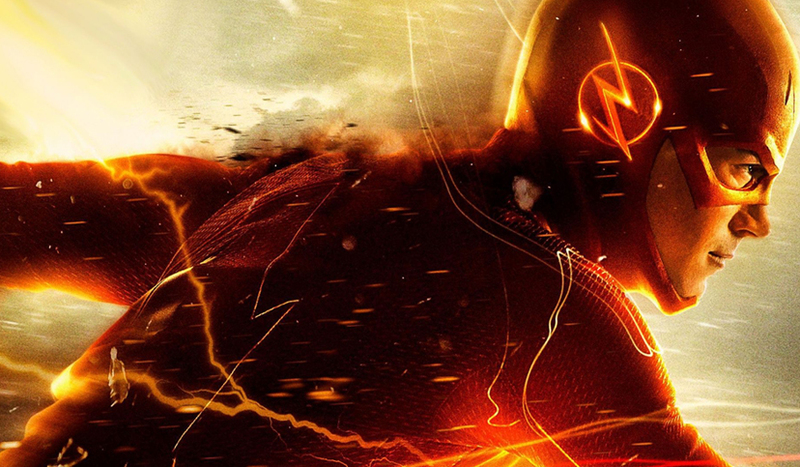 Barry learns that he can move at extraordinary speeds, and that there were other "metahumans" created from the explosion. One of them, Clyde Mardon, is robbing banks with his ability to control the weather. In order to stop Clyde, Barry is outfitted with a suit, designed by Cisco, that can withstand his high speed. He tracks down Mardon and with Detective Joe West, who learns of Barry's abilities, Barry is able to stop Mardon, who is killed by Joe. With his new powers, Barry vows to find out who killed his mother when he was a child, believing him to be another metahuman who has similar abilities of speed. Elsewhere, in a secret room at S.T.A.R Labs, Wells reveals he is not paraplegic, while reading a newspaper from the future concerning Barry's fate as the Flash.